Design Thinking: The Myths, The Pitfalls, and The Potential. Check out this on-demand webinar, brought to you by Chief Customer Officer & Influencers USA and the CXPA. Join CX leaders as they share how to transform business as usual into an experience centred way of thinking and working. 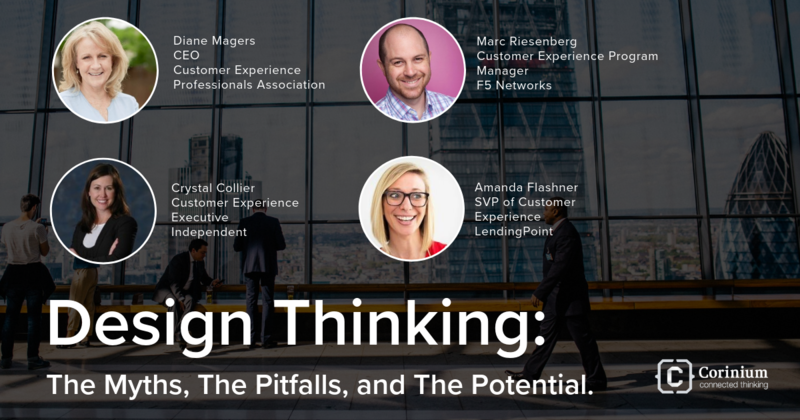 Learn how design thinking can help transform thinking. Understand how defining and changing the way your brand sees and uses design thinking and doing. Hear the lessons learned on building this capability in your brand. Hear lessons learned on what to avoid, how to engage and how to drive change in how your brand views design. Understand the tangible business value impact of designing great experiences, products and services.